Growing a community around any product or service is tough. But it’s even tougher for those in the clean tech sector, like hydrogen and fuel cell companies, since the technology they’re offering is new and different—even revolutionary. How can you inform the marketplace, including potential buyers and policymakers, of the use and benefits of your game-changing technology? To establish your company as a thought leader in a revolutionary industry, you need to create content that educates and engages your stakeholders - all of them. 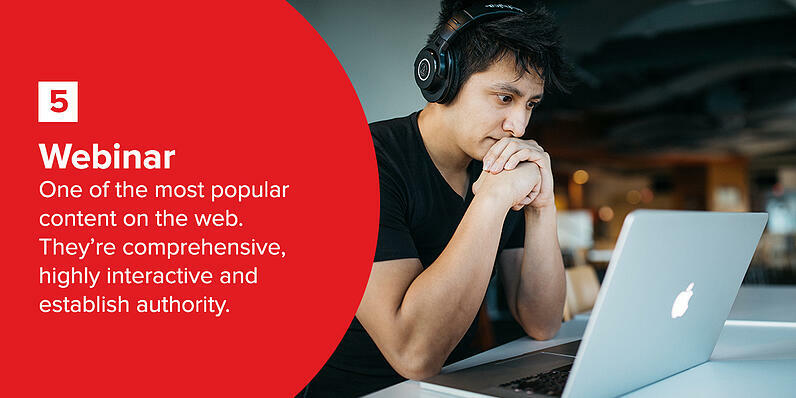 In this post, we’ll look at some fresh content ideas that you can implement to build web traffic and increase your engagement efforts. 1. How can this content help build and engage a clean energy community? 2. How can it address the sustainability challenges of your stakeholders or prospects? 3. How can it showcase your technology as a solution to those challenges? Producing content that addresses these three points will position your company as a thought leader in the zero-emission space. It will also influence policymaker discussions about emissions-related regulations being implemented in their jurisdictions. This is key in joining and influencing policymaker discussions around sustainability. Additionally, this topic can serve as inspiration for potential buyers to consider your technology. Any proposed or implemented zero-emission policy will pressure target industries to seriously evaluate your solution. This topic is where your thought leadership can really shine through. Your company is full of hydrogen and fuel cell technology experts—and the world should hear what they have to say. Discussing technical innovations, or sharing deeper insight into current events will show your stakeholders that you’re an authority at the forefront of your industry. To avoid “preaching to the choir”, it’s essential that you reach people who aren’t yet familiar with, or sold-on fuel cell technology. Target industries who could benefit from your technology, but who need more information about it. Share stories on how the technology can benefit their company, their workers, and their communities at large. Additionally, corporate social responsibility and sustainability mandates are more important now than ever. Share expertise on how embracing a clean energy solution can benefit a company’s reputation, its bottom line and overall public perception. While you shouldn’t share the cost of your particular solution in your blogs, you should definitely address cost as a subject. While sustainability is obviously a major selling point of fuel cell technology, many stakeholders are concerned about the technology’s higher capital cost, relative to well-established fossil fuel power. Be honest about the situation, while sharing what your company, and others are doing to bring the cost down. Now, let’s take a look at six types of content you can publish to address the above topics. Publishing content on a blog consistently is a great way to educate stakeholders and boost your web traffic. It also showcases your company’s thought leadership, which can build authority in your area of expertise. We’ve helped our client, Ballard Power Systems, build a thriving blog that exemplifies this. illustrating the growth of the technology and how it positively impacts air pollution and climate change. This helps increase public awareness and build a community around fuel cell technology. Videos provide a quick, engaging way to share your company’s story with stakeholders. 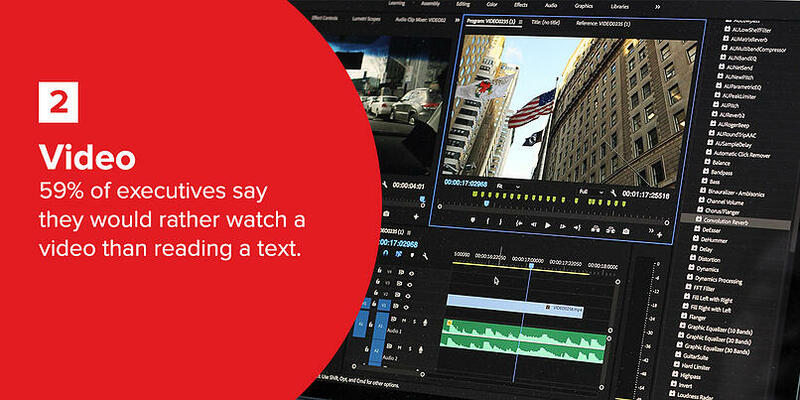 In fact, 59% of executives say they would rather watch a video than reading a text. To create a great video, first, make sure your content idea fits into both your overall content strategy and business objectives. You’ll also want to research what kinds of videos do well on the platform(s) you’re using. On social media, for example, short, attention-grabbing videos tend to get the most engagement. A story highlighting new zero-emission regulations and why your solution is needed to meet them, can be simply presented through this type of video. The videos can then prompt viewers to visit your website, bringing in more traffic to pages which explain your solution in depth. On a website, longer, more in-depth content works well. For example, your website is an ideal place to publish detailed videos about your products and services, or to showcase video testimonials. Visuals are powerful! Studies have shown that people can recall 65% of visual content up to three days after they first saw it. This is one reason why infographics make such strong content. Not only do they distill complex information into an easily digestible format, but they’re also highly shareable. Infographics are shared 3 times as often as any other digital content ideas on social media—making them a perfect way to improve your online influence. 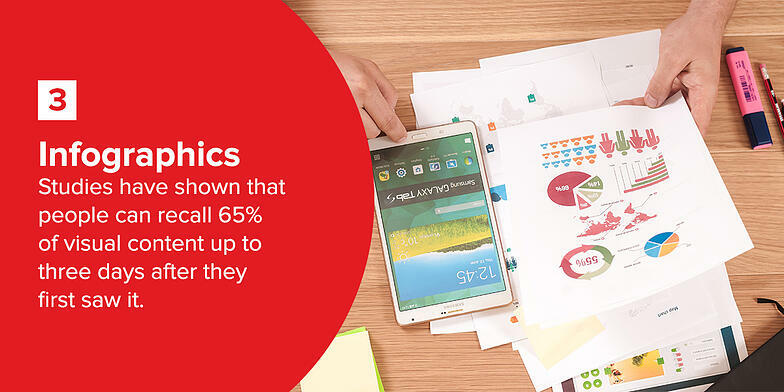 Infographics should be simple, and contain no more than 10 data points around a single theme. That way, your audience can better absorb the information, and you’ll succeed in getting your message across. Need some inspiration? Here’s an example of an infographic we created with Ballard Power Systems, comparing battery electric buses and fuel cell electric buses. Policy and decision makers are looking for information online to help them make informed decisions. Often these people are overwhelmed by research material that isn’t relevant or helpful in answering questions to their problems. Determine what kind of content will be of value to them, then create it while being conscious of their challenges and concerns. But, why would you develop such extensive content, and give it away for free? First of all, this content helps your potential buyers and the involved stakeholders get answers to questions they may have about the industry, the application, or your product. In fact, the majority of B2B purchase decisions are now made online, and buyers often make them before ever engaging with your company or sales representative. According to a report by Forrester, 68% of B2B buyers prefer to research independently online before making a purchase. This can support you in developing a successful, personalized nurturing strategy that will further engage them. The best-gated content is data-rich and informative. It’s high-quality material that addresses a real challenge for your prospects or stakeholders. The more valuable your content, the more likely visitors will download it. Webinars are one of the most popular types of content on the web. They’re also one of the most comprehensive, letting you cover topics in greater depth than you may be able to otherwise. Highly interactive, webinars are excellent for building engagement because they allow viewers to ask you questions in real time. Thanks to these qualities, webinars are a highly effective channel for promoting your company’s thought leadership. You can even co-host one with an expert in your industry to further establish domain authority. You could discuss the latest industry trends, current news and events, or technical innovations. On top of that, as the cost of fuel cell technology is a concern for many stakeholders, webinars are a great medium for sharing what the industry, and your company, are doing to bring costs down. 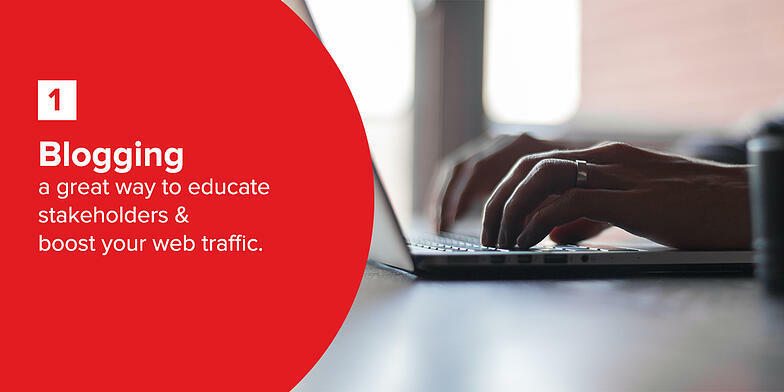 As with any content, always make sure your webinars are targeted to your audience. Different audiences are interested in completely different topics, and your webinars should reflect this. Establishing credibility is especially important for hydrogen and fuel cell companies, since the technology you’re offering is relatively new. 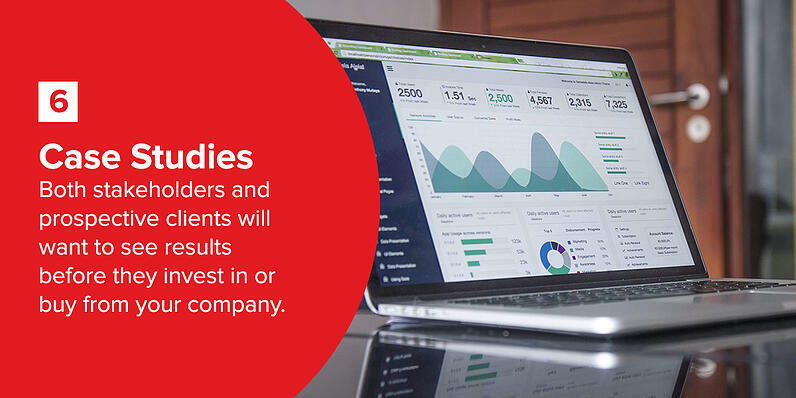 Both stakeholders and prospective clients will want to see results before they invest in or buy from your company. Providing case studies that demonstrate the positive impact you’ve had with other partners is one of the most effective ways to do this. The best case studies show how your products or services have helped your partners overcome their challenges. Additionally, it’s an excellent idea to include testimonials in your case studies. Testimonials are very effective and can take many forms, from a simple quote to a short video. Once you’ve published some top-notch content on your website, social media is an excellent place to share it. Getting social also lets you connect with stakeholders and the wider hydrogen and fuel cell community. Follow and interact with key people on Twitter and LinkedIn. Comment on any posts that resonate with your company values and mission. Consider joining hydrogen or clean energy-focused LinkedIn or Facebook groups. Spend time every day connecting with stakeholders on social media. The bigger your social media network, the more people will share, read, and engage with your content—as well as with your company. For example, we helped Ballard Power Systems develop a thriving community of over 13,000 fuel cell enthusiasts, influencers, and stakeholders who tweet, post, and comment on a daily basis. 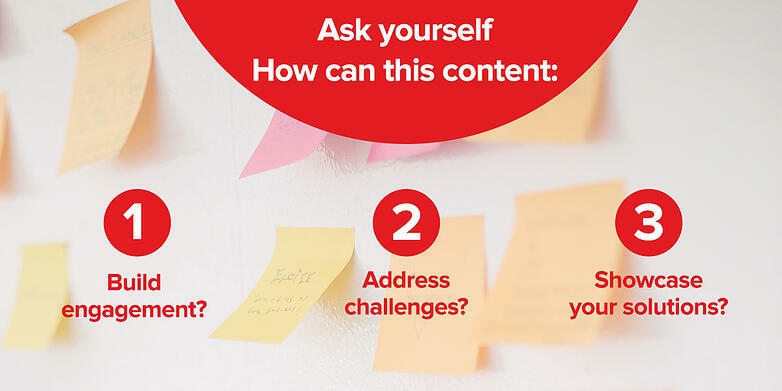 So, now that you know about these six content ideas, how do you put them into practice? We recommend easing into it. Try a blog or video, and monitor any uptick in engagement and website visits. 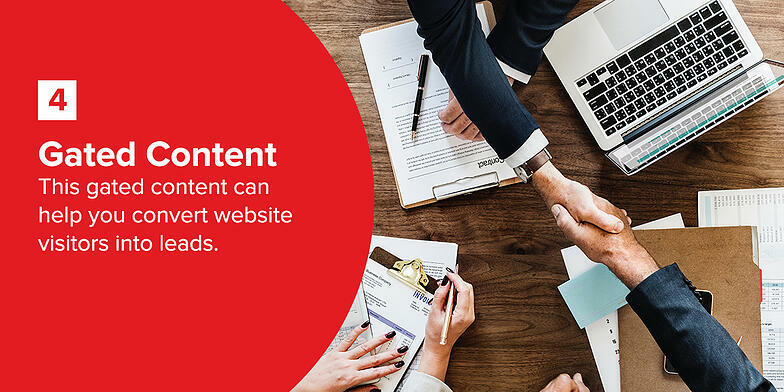 Over time, you can incorporate multiple touch points into your online engagement strategy, giving content a central role in your marketing plan. No matter where you start, make sure your content provides solutions that fit into stakeholders’ visions for the future. Show prospects how your zero-emission solution will help their communities achieve their sustainability goals, and you’ll build strong, mutually beneficial partnerships—now, and for years to come. If you’d like to learn more about how to use content to educate, engage and empower your stakeholders, download our report: 7 Essential Facts About Inbound.